75%OFFSALE *** MissManeater WILD frill skirt hipster boutique bikini pant *** SUPER low rise! THESE ARE THE LAST 2 STYLES IN THIS COLLECTION...SO WE HAVE MADE INTO A SET!!! This MissManeater ORIGINAL frill/skirted waist boutique bikini pant is SUPER LOW rise & slight cheekiness for MAX bootay! A fixed waist HIPSTER boutique bikini style, we have size SMALL available ONLY! This is our very own CHEATER digital animal print on polyester fabric, we have lined this boutique bikini pant with BLACK lining, for a high quality finish. 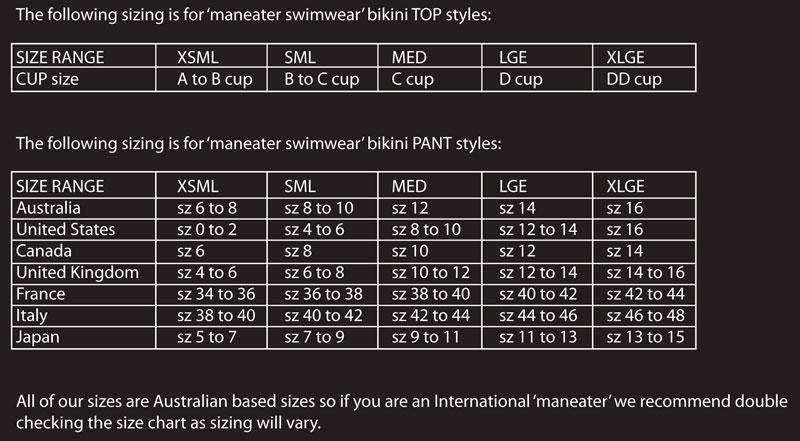 Refer to our FIT GUIDE attached our details above for your PERFECT size detail!